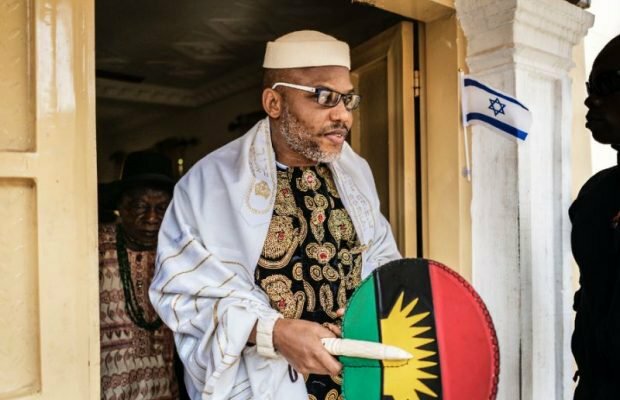 Emmanuel, brother of Nnamdi Kanu, leader of the Indigenous People of Biafra, IPOB, has stated that the group will forge ahead with its agitation. He insisted that IPOB is non-violent yet strong and will not be intimidated. "Freedom is not given by the oppressor; it is seized by the oppressed. As long as what we do is in line with international laws, we will continue with the struggle (for an independent state of Biafra)”, he told Punch. “We remain a non-arms-carrying group and also a non-violent movement. We do not believe that carrying arms will ever solve any problem. We believe in genuine engagement; that’s what IPOB stands for. On the whereabouts of his father and brother, Emmanuel said Nigerians should ask the military. "We strongly believe that the Nigerian Army whisked them away because since the day the soldiers invaded our house, we have not seen the duo and have not communicated with them. The army is in a better position to answer that question. “They invaded our homes and took away many people – both the dead and the living. So, we are expecting them (the soldiers) to tell us their whereabouts. We have been asking questions about their whereabouts; we have yet to get any answer. “So, we believe the invading soldiers are the right people to answer the question. They whisked away about 15 of them. They killed two of my cousins as well – they shot them dead in my compound. "The whole thing started on the morning of September 14. First of all, they killed two of our ‘brothers’ in front of Diamond Bank, on Library Avenue, opposite Abia State Government House and took their remains away. "After some investigations, we discovered that they took the corpses to a mortuary at Isiala Ngwa Local Government Area and dumped the bodies there. I have photographs to prove that. My community looks like a war zone up till now. People are being harassed and dehumanised by the soldiers every day.